Today, I found insects in my kitchen. My first reaction has been to buy insecticide. I went to my supermarket then found lots of products to get rid of insects. There was one for ants, one for spiders and one for cockroaches. As I did not pay much attention on the type of invader living in my kitchen, I had no choice but to buy the three products. I returned home with my products, used them, and saw... a caterpillar crossing my kitchen! If only I paid some attention to the insects' type, I could have saved money by purchasing the right product and the result would certainly have been more efficient. Now, what if the insects were my customers, the products I used my marketing strategy, and the result my ability to reach my prospects? If my potential customer was a nine year old boy, would I reach him with advertising campaigns aiming children, adults and elders? Some people might. Some people use a rocket-launcher to shoot a fly. But you don't: you know that a precise shot isn't only cheaper but also much more efficient. If you want to reach your customers correctly you must start with knowing who they are. Before getting into complicated strategies and theoretical explanation, let's sit for a second and look at the situation. You built this product for a specific market, and if you didn't, then it is time to seriously think what kind of market would be interested in your product. Among entrepreneurs a large percentage believes that their product is made for "anyone". This might be the largest and most common mistake made by entrepreneurs and it almost automatically leads to failure. The golden rule is "Each product has a specific market". If you believe you have a product that fits all, think again. In this article we will see together what are buyer personas and how to use them to target precise markets, save money and improve your marketing strategies' efficiency. You have a rough idea of what is (are) your market(s). You must now create profiles of those people that represent your market. To help you with this step, I will give you a concrete example. I am selling a car toy. My target market is boys between 6 and 9 years old. I can now create my profile: I target a boy aged between 6 and 9, living on the US territory and being interested in cars. Congratulation, you created your first basic profile! But hold on: the work isn't done yet! This is only a simple profile: we are still far from our buyer persona. 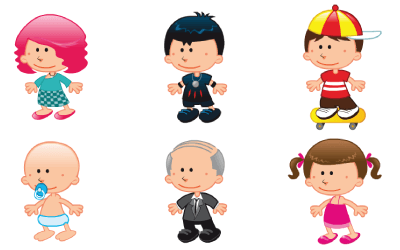 We have a basic profile: a young boy aged 6 to 9. We gave it some basic description such as territory and large interest. Now, we must precise our profile with clear data. This list could be shorter or much longer: the more information you input in your profile, the more precise will your marketing strategies be. There isn't a rule regarding which type of information must appear in your list: for each market you must identify what would be relevant of irrelevant and focus only on what brings value to your study. Interests: What is that person interested in? This doesn't have to be a single focus: you can list here a bunch of interests such as "video games", "internet", "economic books", etc. Keep in mind that the more precise your list gets, the narrower your target is. If you become too precise, this profile will represent only a small percentage of the market you target and you might need to create some alternative profiles to complete your target. Purchasing power: how much money would this person be able and willing to spend for an item such as the one you offer? Decision power: this is a key point. Is this person the one who makes the decision? Does this person influence the decision? Communication type: does this person speak/write in 'conventional' English? Does this person use "SMS" language? Street language? What type of communication does this person use on a daily basis? It is essential to know this point, as you must address your prospects in a type of language that they would understand. (you do not talk to a CEO the way you talk to a 6 years old girl). Communication channel: what does this person usually use to communicate? Phone, SMS, MSN, traditional letters, email, etc... If you know how a person communicates you know how to communicate with him. Now that the main categories are clearer, let's take the example of the 6 to 9 years old boy. decision power: none. His mother makes the decision, but he can influence it. Here is my target's profile. Now, I have a clear overview of who is my market. I know who, but I also know how to attract that person, how to reach that person, how to address that person. I also notice that this kid influence the decision but does not make it. That indicates me that there is another profile I must build: the mother's profile, the one to who I must also communicate about my product if I want the purchase to happen. This little exercise took me a few minutes to create the initial list, plus probably a few extra hours to indicate specific facts such as the TV channel watched or the type of magazine that this profile reads. It gives me a clear overview of my market and leads me to potential extra research (such as the creation of the mother's profile). Now, let's move to last step and transform this "profile" into a real "buyer persona". Now that your profile is complete, you can move to the last section: give it a name and a picture. This step is essential: that's what gives life to your character. 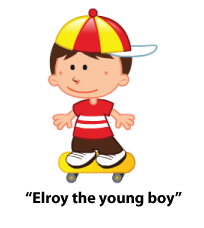 My 9 years old boy is called "Elroy": "Elroy the young boy". And Elroy also has a picture. Now, Elroy isn't just "statistics": Elroy exists, he has specificities and preferences. From now, each of your marketing strategy will be clear and properly positioned: you won't shoot in random directions any longer; you will target specific channels with a specific message and save money while increasing efficiency. Keep in mind that you probably don't have a single buyer persona but a few of them. Don't get extreme (you shouldn't have more than 6 to 8 buyer personas, otherwise you have been too specific and should enlarge each one's profile) or minimalist. Buyer personas are what make the difference between a targeted campaign and a global (or random) campaign. Now you can print each of them on a different poster a keep them in your meeting room to always keep in mind that those are the people you work for and the people you must content with each product and strategy. Once applied this method, I invite you to discover some other marketing tools that would help you planning and monitoring your strategies: "Marketing concepts for product development: Product Life Cycle, Death Valley Curve, Marginal Utility". Please share with us your experience and results with this method!